Let me guess you're obsessed with Narcos that you wanna see Medellin with your own eyes? Just kidding! Don't tell a Colombian you're visiting his country because of Pablo Escobar he will get offended. 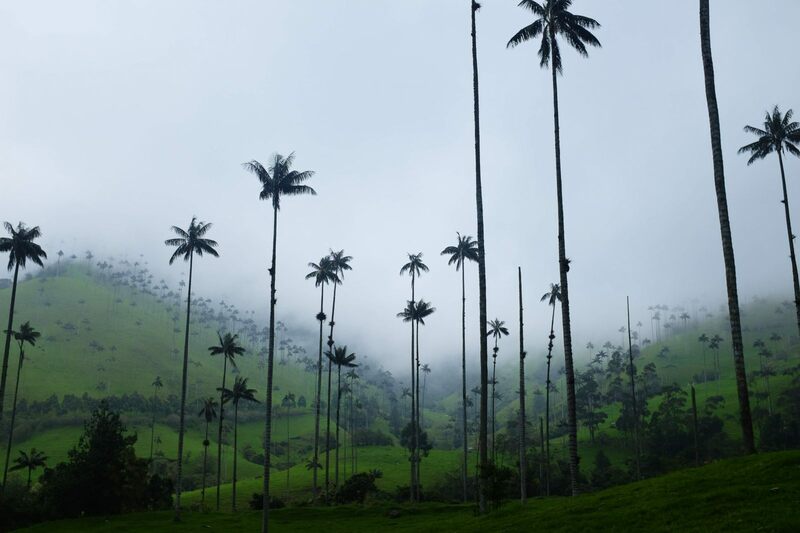 Because the beauty of Colombia is more than just Netflix and Chill. 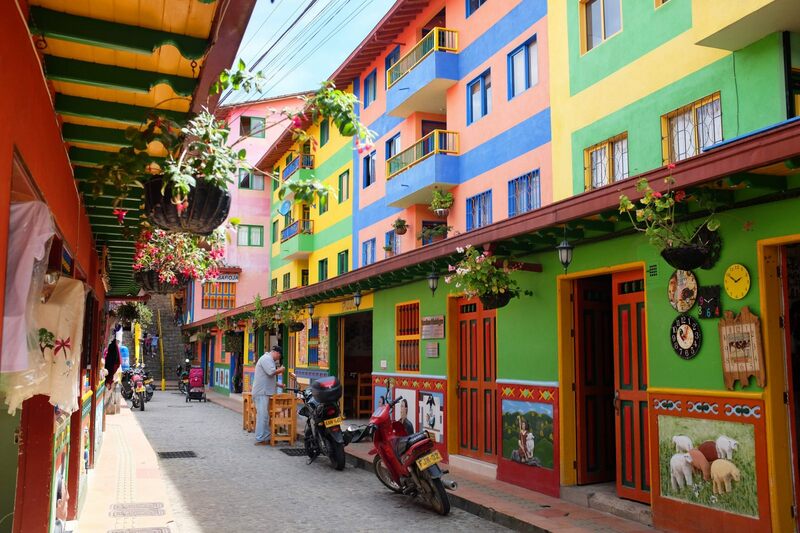 From North to South, with a detour in the Caribbean dive in the most colorful country in South America! From Panama City to Medellin with Air Panama. Make sur to go to PAC airport (domestic flights although it is international) and not Tocumen International airport. Once you’ve landed at MED international airport, customs may ask you for an exit ticket. Rent one few hours before flying with flyonward.com , you can then change your dollars into pesos at the change right after picking up your backpack at the carousel. Then at the exit, ask for the bus to go to San Diego (closest to Poblado district). The bus is $9,500 and takes about half an hour. 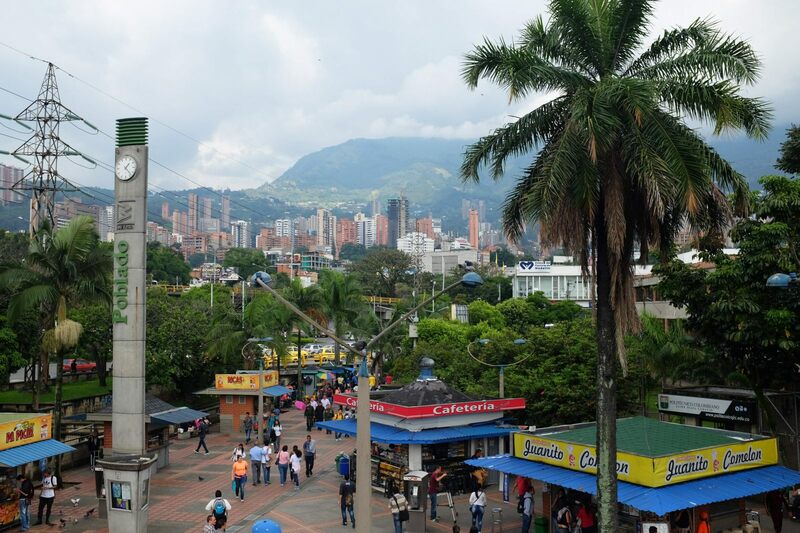 From San Diego bus stop, jump in a cab for Poblado for $10,000. There will be some ladies at the bus stop helping with your location and where you want to go, they will also make sure you get a cab so you should be tipping them. 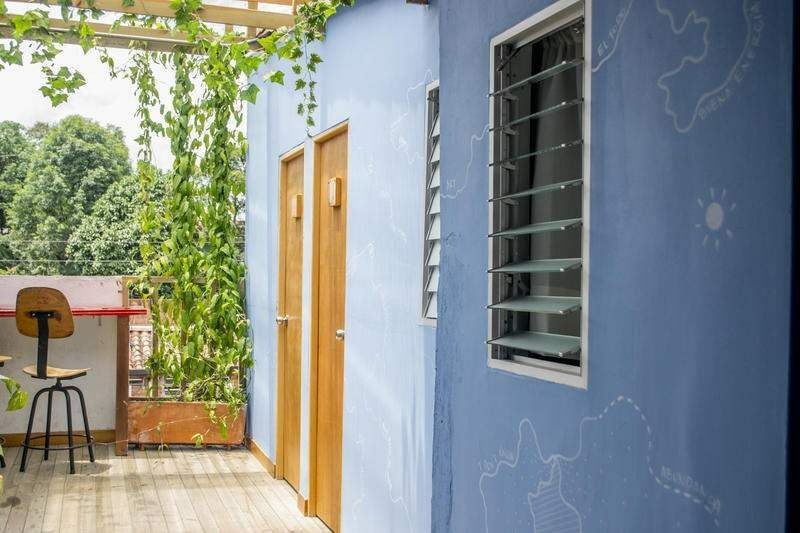 - Galeria Estación $20,800 per dorm or $50,000 for a single private room, free wifi, hammocks, terrace, free breakfast and Netflix. 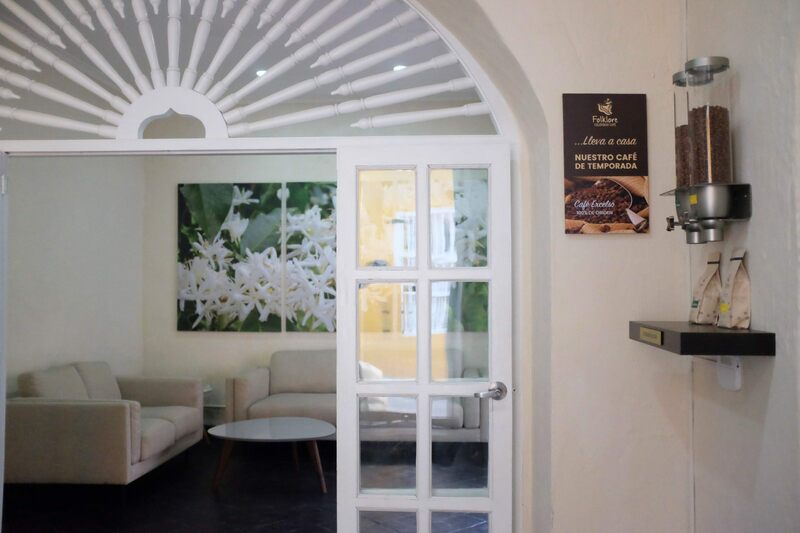 Very good location, 5-min walk to Poblado Metro Station and 10-min walk to Zona Rosa nightlife, 1-min walk to Exito supermarket. There is a computer at reception you can use to print your airplane ticket, they can also book a taxi for you, or advise you on what to do in Medellín; super friendly staff! 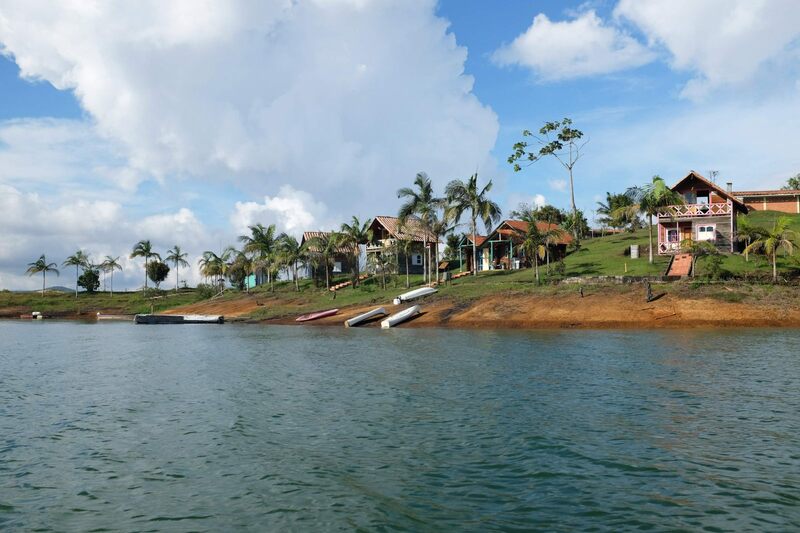 If you wish to stay in Cartagena or Guatape they also have other hostels there, you should check it out. Here is the itinerary for 11am to 1pm to discover the city in public transport for only $2,300 single trip ticket. You must never exit the stations though or you will have to repay for a ticket! This itinerary is only to explore the city from inside and above (metro + metrocable). 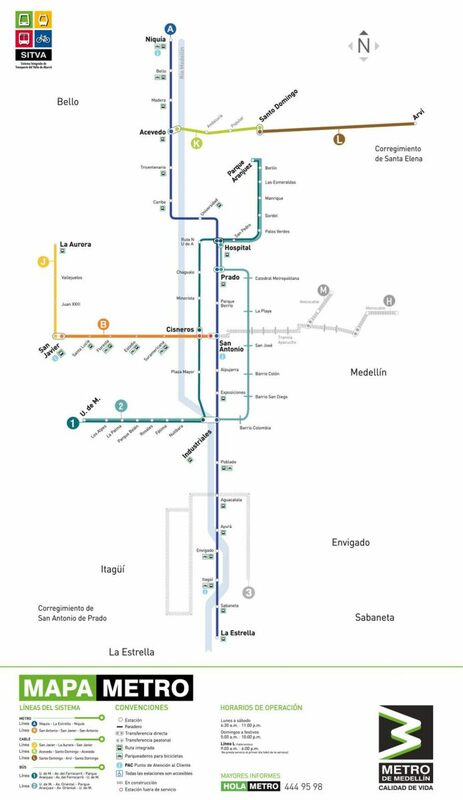 Transfer to metricalle K green line until Santo Domingo and come back to San Antonio, to then finish at Poblado. 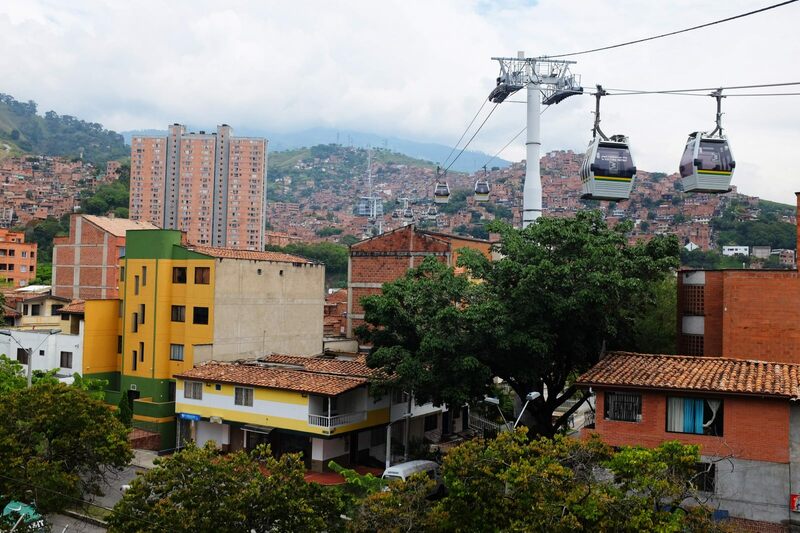 There is another route you can also take, from San Antonio, take the Tramway green to Line H violet, for another close up of Medellin Center from above! If you’re located in El Poblado, the meeting point will be at 8:54am at the metro station. The Tour guides wearing red t-shirt and the name of the company will be waiting for you with your name on the list. Make sure to have the screenshot of the online booking confirmation so they can tick you off the list. They will then ask you to buy a single metro ticket for COP 2,300 since the walking tour will start from Alpujarra (3 stops from Poblado). From there, the guide will bring you back to the metro station or indicate you the way to where you want to go. 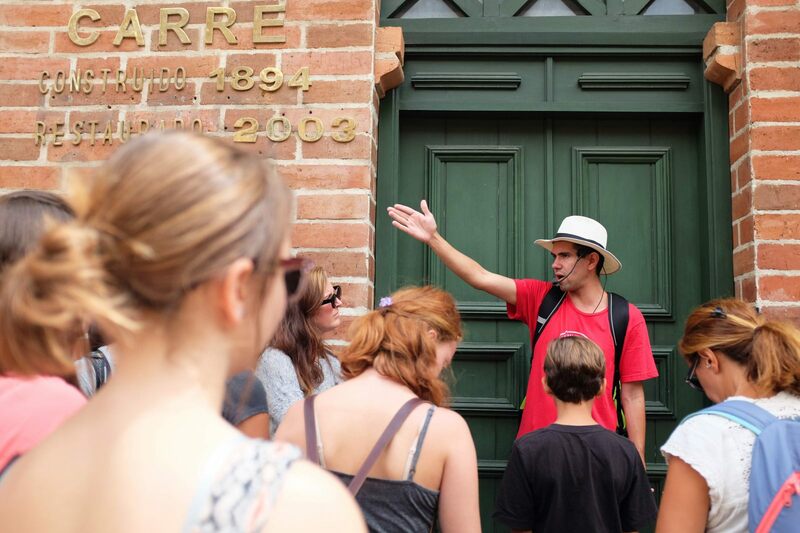 This Free Walking Tour is based on tips for the guide. When you fill the survey you can insert a bill. A good tip starts from COP 20,000 and up. 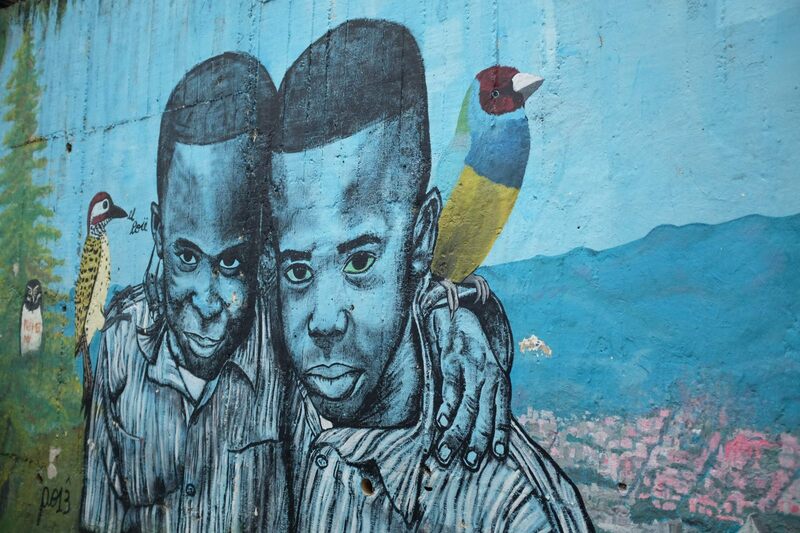 Paisas (Medellin inhabitants) are very good liars and think they are better than the rest of Colombians. They will tell you “don’t go there it’s dangerous”. 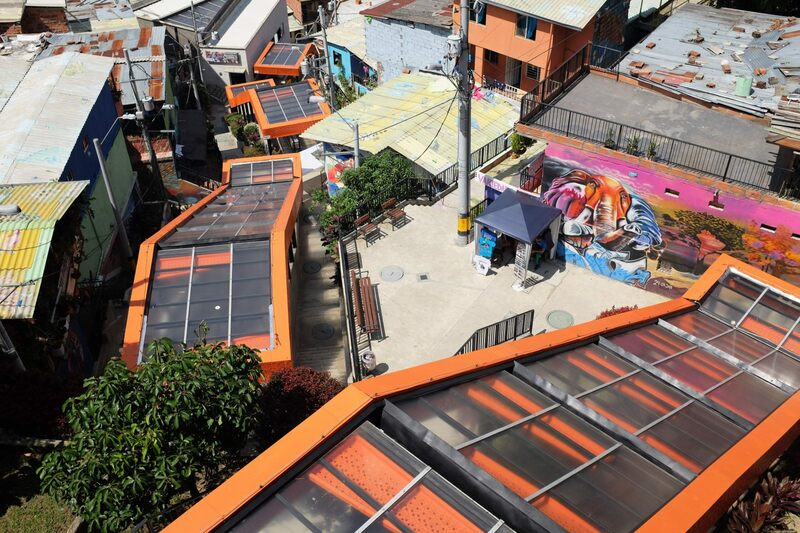 With Real City Tours, they bring you to the true Medellin, so you can judge by yourself. And they have brought so many tourists on this tour so will not be the first one, plus it has nothing dangerous in any of these 11 stops! 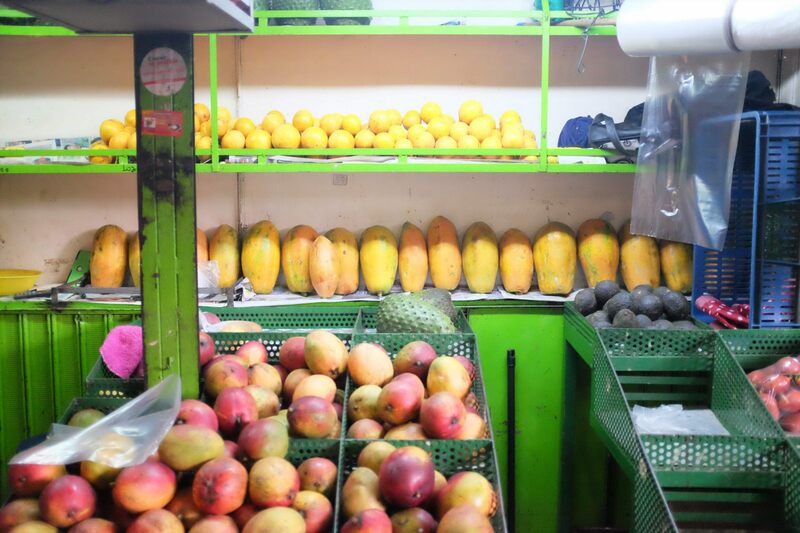 No den papaya! Don’t give Papaya! Meaning do not give an opportunity to a Colombian to rob you. As a tourist, keep your stuff safe and closed. No backpack on your back but rather in front of you. No selfies with one hand only. No real point to book this activity through a tour since you can get there on your own. 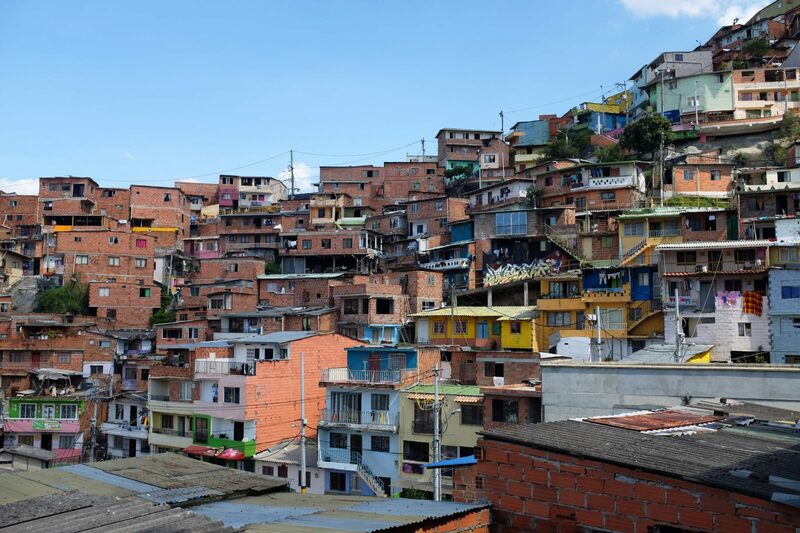 We would not recommend you walking from the center of Medellin to there although it is only 20 minutes walking. The area you would pass by is very sketchy and scary. Homeless, junkies, hookers, and some more is what you would encounter on your way. Not that they would bother you but you will not feel safe for the next 20 minutes. So you should rather take a taxi or the Metro Plus that stops you right at Minorista Station. Make sure to do it in the morning or early afternoon since they ten to close around 3:30pm. 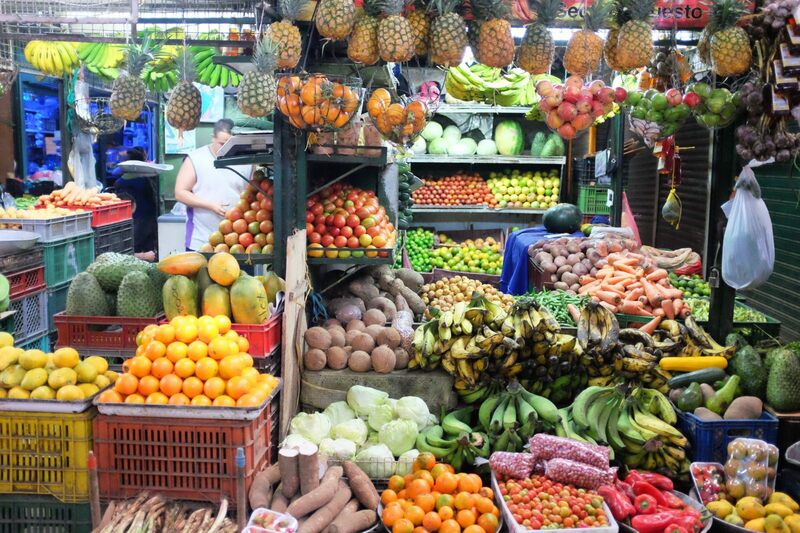 Fruits and Juices to buy at Minorista Market: lulo juice with milk, coconut lemonade, dragon fruit (pitahaya), tomato de arbol, mangosteens, aguacate, mango, oranges, granadilla, goyaba etc for very very cheap price and so tasty fruits! 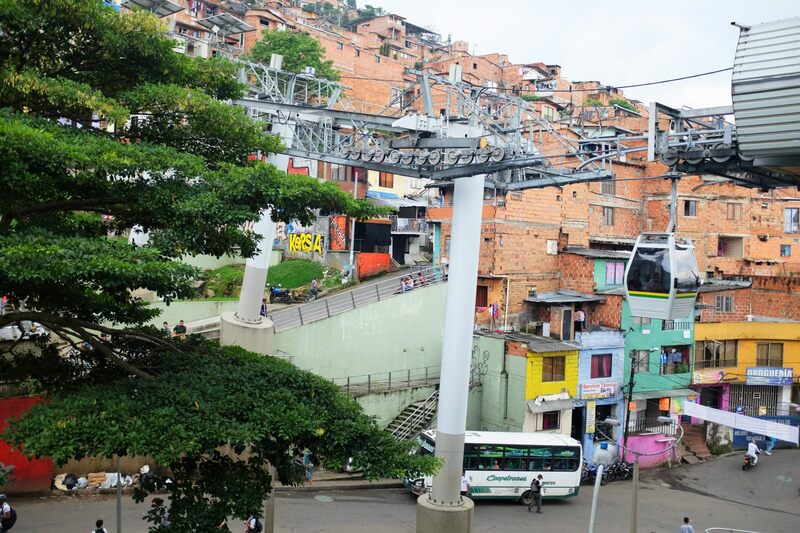 How to get to Comuna 13: Take the metro+bus ticket “Integrado” (for $2,400) towards San Javier station. When you exit the station turn right and catch a green metro bus towards Escaleras Electricas. 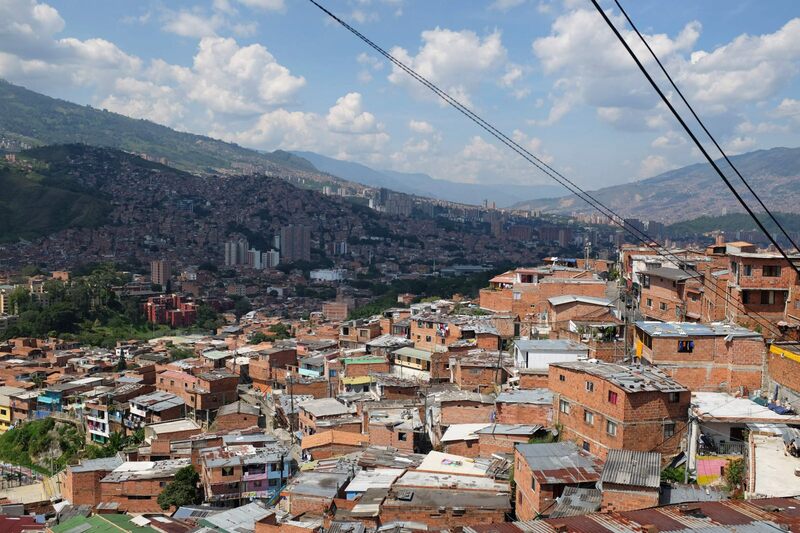 The bus will bring you at the bottom where the Comuna 13 starts. You may see some guards, do not panic, they are there to protect the community. 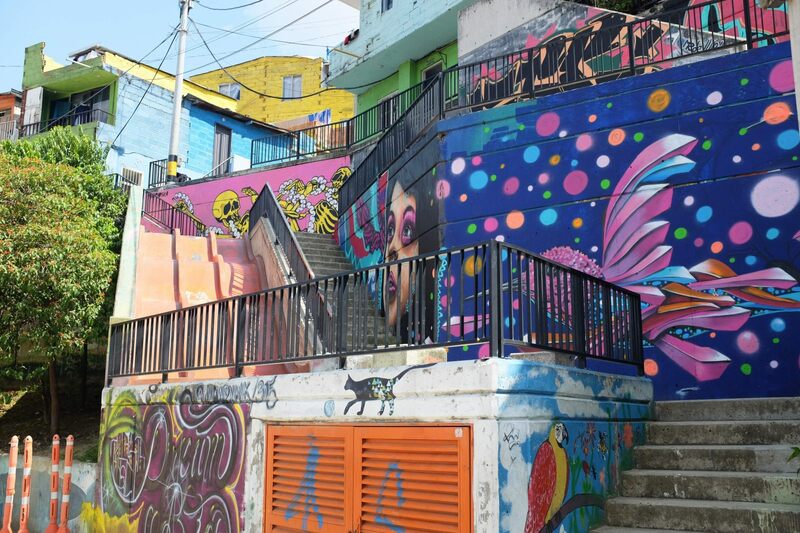 Keep going up alongside the colourful houses and murals until you reach the first orangeTram which is actually an escalator. 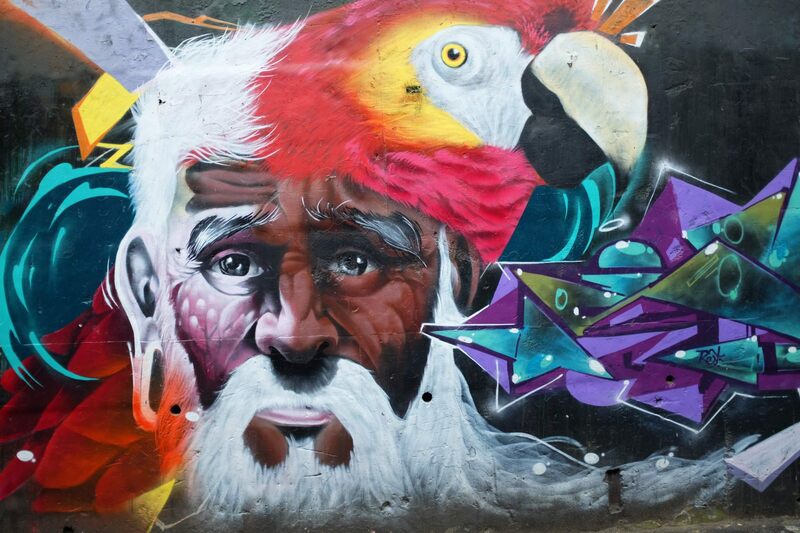 Keep going all the way up to the viewpoint over Medellin and admire the beautiful graffitis all over you. If you walk a bit further you will reach the famous slide where kids may be playing with dogs and sliding down, laughing very hard! You can try too! 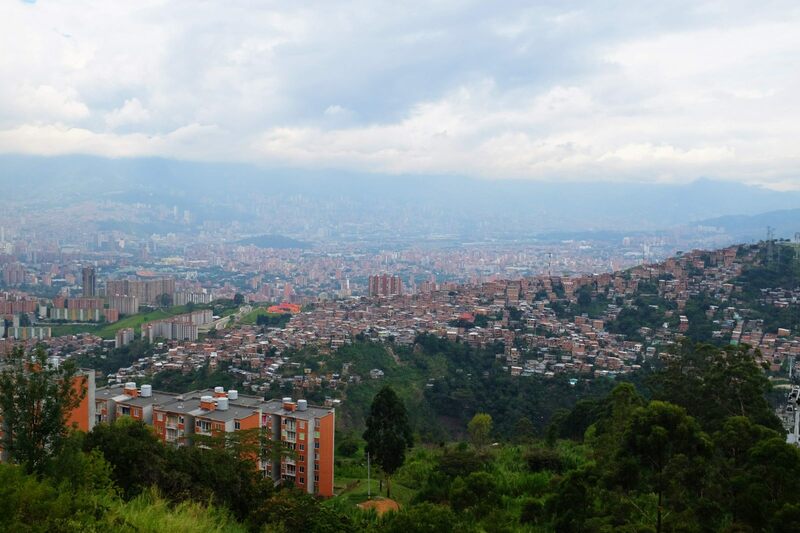 The view over the mountains and Medellin is incredible. Don’t worry about feeling unsafe, the locals may even ignore you or welcome you with a smile, super proud that you are visiting their community. 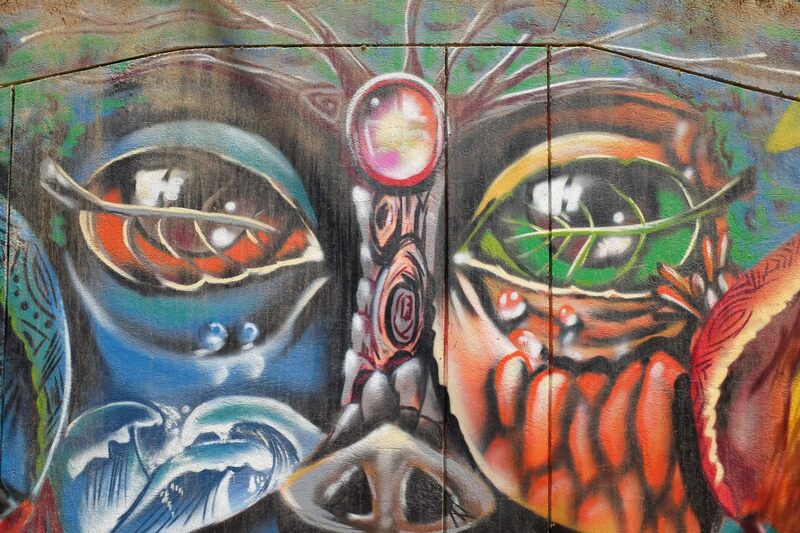 You will see the artists’ signature with their Instagram handles or some catchy phrases about the change in this community such as “Somos Transformación"
This tour is very safe on your own, the locals will be very proud and happy to welcome you in their community. From Poblado station, take Line A towards Niquia (blue) up to Caribe. At the exit, follow the sign Terminal del Norte. you will pass on a bridge where some guys will shout out some destinations name. 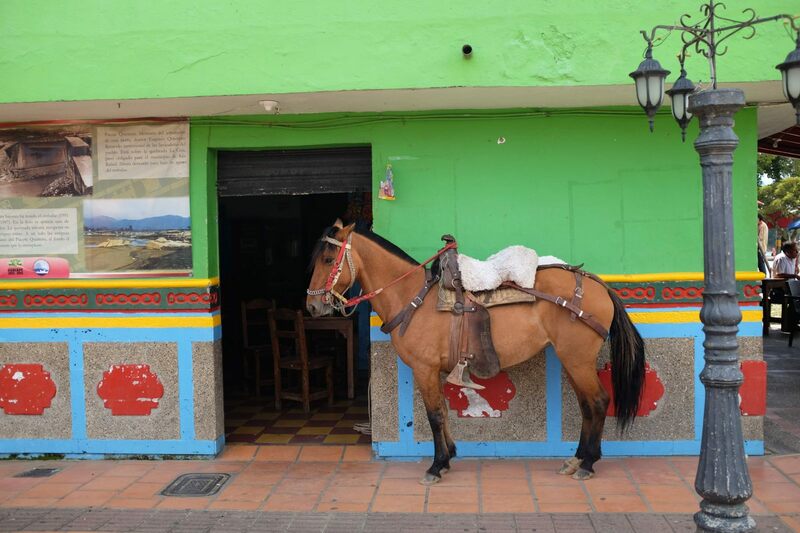 If by any chance your hear Guatapé - El Peñol, stop right away, this guy has some good discount for Sotrasanvicente ! Take the voucher and head towards counter 14. 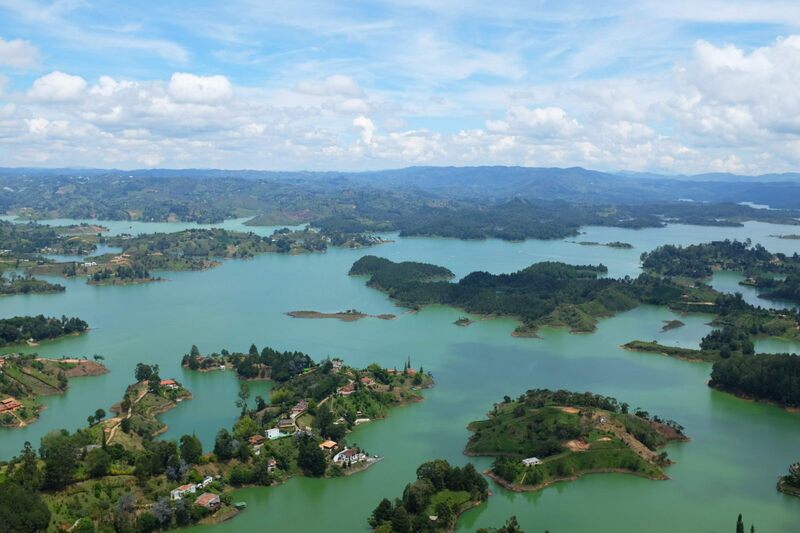 One way ticket for Guatapé or La Piedra with discount is COP 11,000 and 13,500 without discount. The bus has Free Wifi and leaves every 30 minutes. 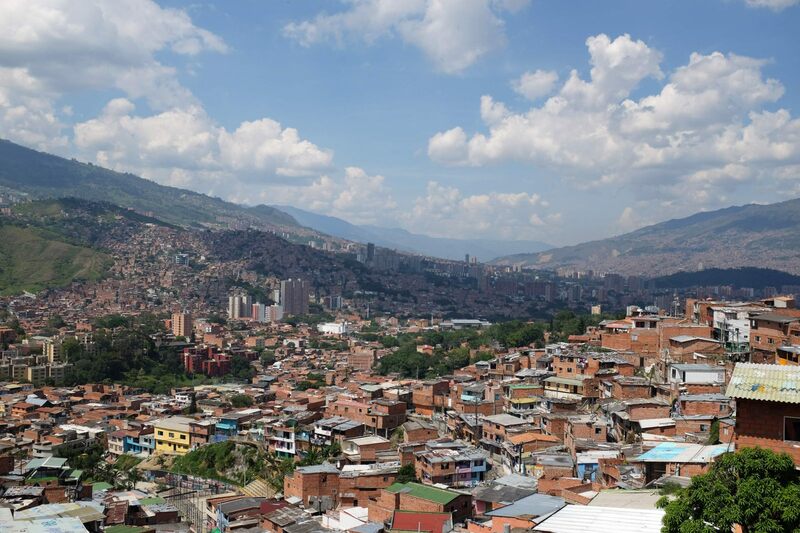 It is such a beautiful 2-hour ride with a great view over Medellin from the start to then enter some colorful small villages. 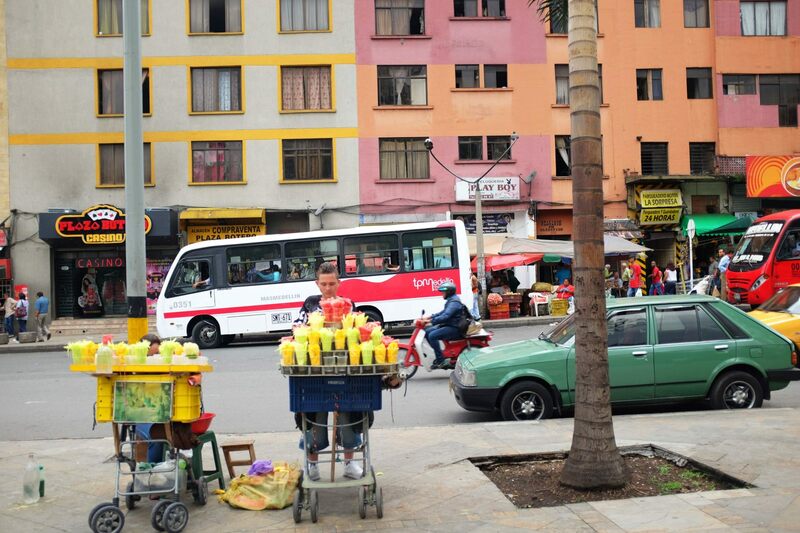 Must-try: At some stops on the way, locals will come in the bus to sell you soft drinks or snacks. If the “Pan de Queso” guy comes in, do buy him some, it is absolutely delicious. This cheese bread pack costs COP 5,000 but you can give him less and it will take some pieces out. 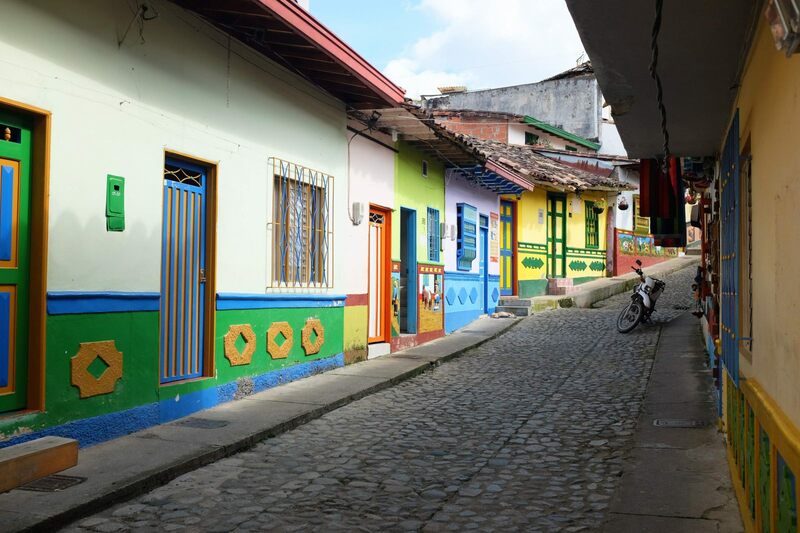 Most of the cheap hostels online are quite remote from the center of Guatapé (you have to pass the bridge) and when you see how vibrant and lively this town is, it would be a such to be quite far from it. A good location, friendly staff and clean hostel is Rock a Town . 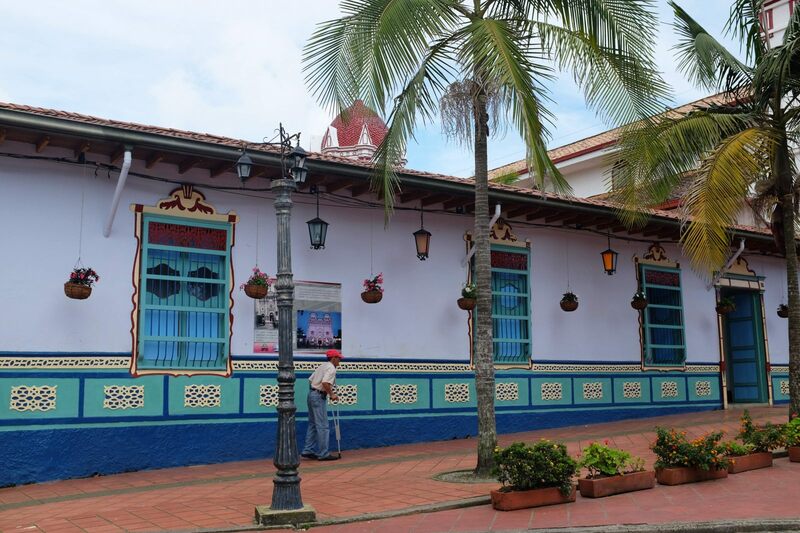 Right at the heart of Guatapé but still further away from nightclubs and Plaza Mayor (the square where everything happens) this hostel offers both private rooms and dorms. Free wifi, kitchen, laundry, hammocks and barbecue. One dorm is COP 25,000 per night. 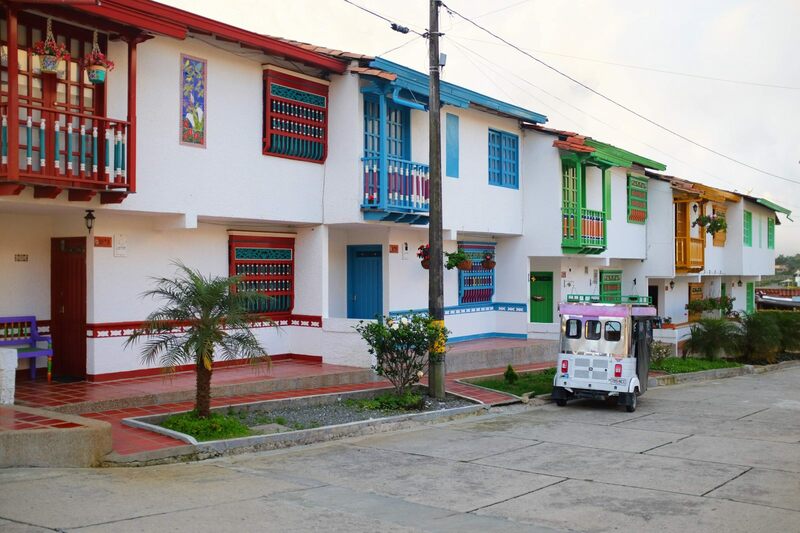 From Guatapé, get on a red jeep from Plaza Mayor (COP 2,000 - cheaper and faster than the bus). It will stop you at the bottom of La Piedra trail. You will need to walk another 10 minutes to reach ticket booth, restaurants and souvenir shops. The entrance is COP 18,000 and there are 740 stairs to hike up! Don’t worry there is plenty of time and space where you can stop, rest and enjoy the view. At the top, there are souvenirs shops and restaurants for you to refuel. 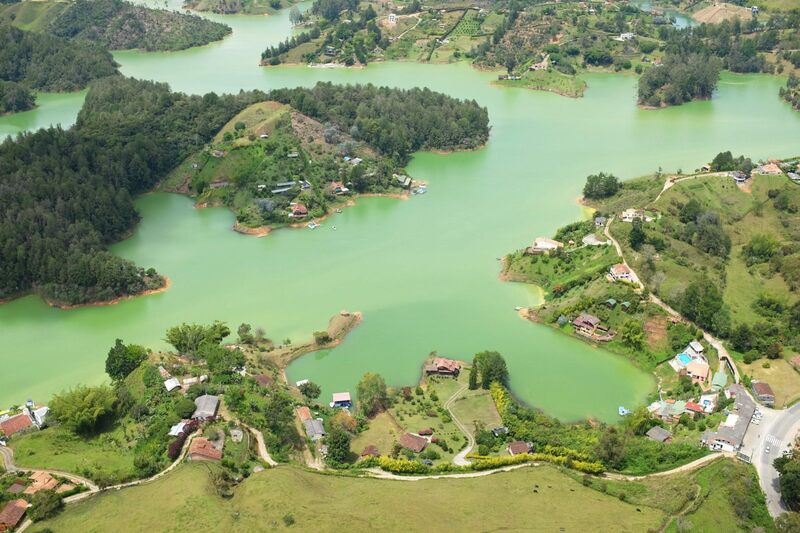 The viewpoint is a 360 view over the lake and Peñol. Colombians pride it to be the best viewpoint in the world, I have to say it is close to be true! 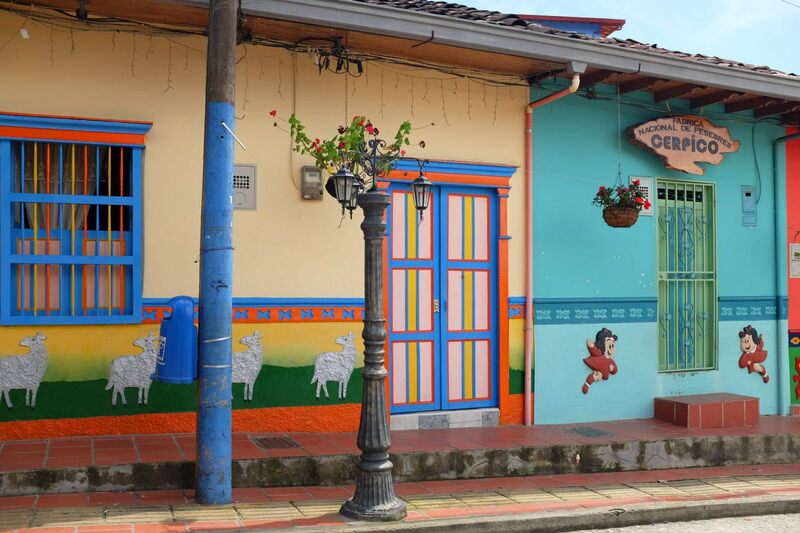 The entire town of Guatapé is very colorful, vibrant, lively and each house is uniquely painted. The town is very peaceful you are gonna fall in love immediately. You must try the street food starting around 6 pm. 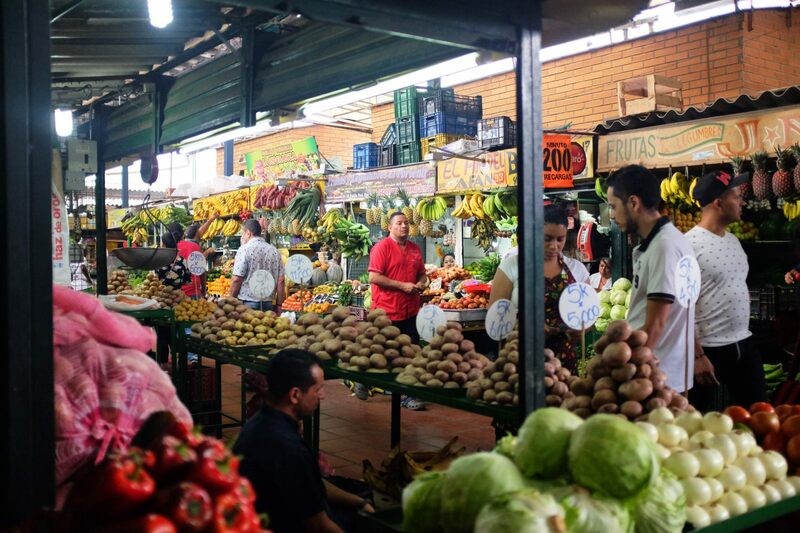 Arepas de carne or queso, empanadas de pollo, papas, carne or queso, tortas de carne, jugos naturales, there is so much to try and the price is ridiculously cheap! Plus it is very tasty. You can also order from the stalls and grab a beer from the bar on the place and sit down to enjoy the locals laughing, playing cards or sharing their stories. 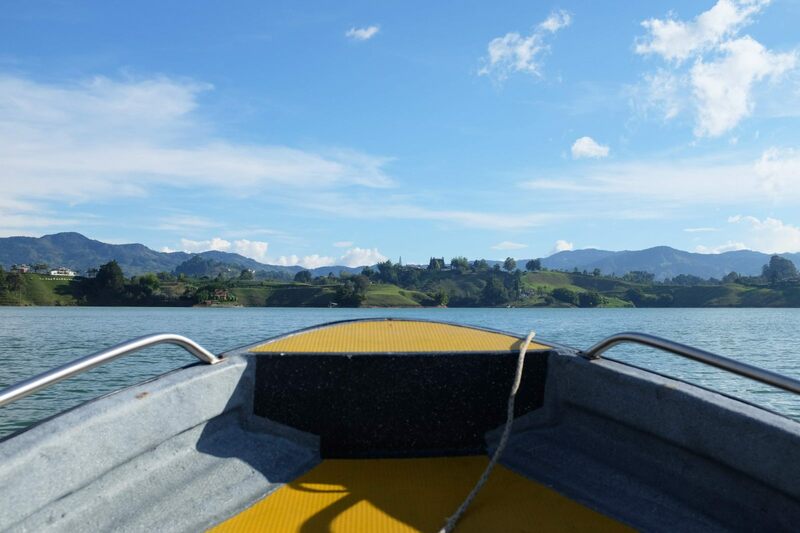 Weekends are the best time to enjoy Guatapé since the locals and the Colombians tourists are having a good time! 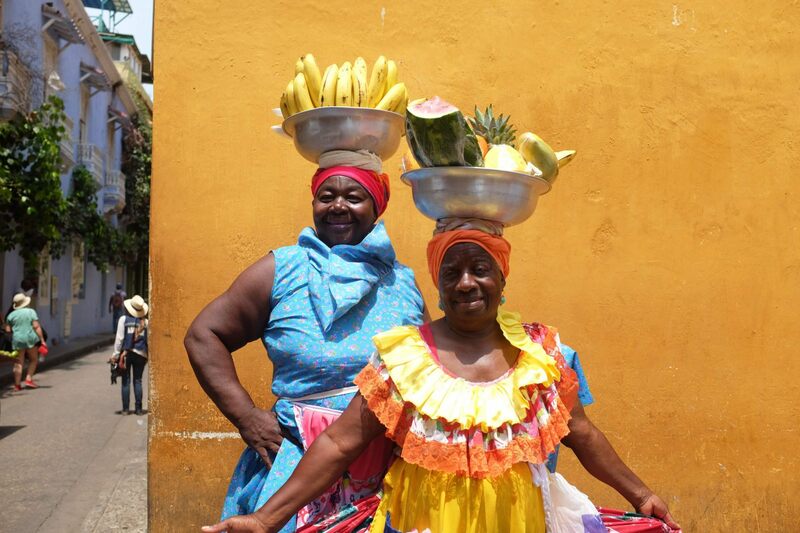 On the waterfront, where the food and souvenirs stalls are, you will see people stopping you for lancha. They may say the cost is COP 15,000 for one hour but local price is 12,000 so do not hesitate to bargain. This tour will be a great surprise, the scenery is amazing, so blue and green. 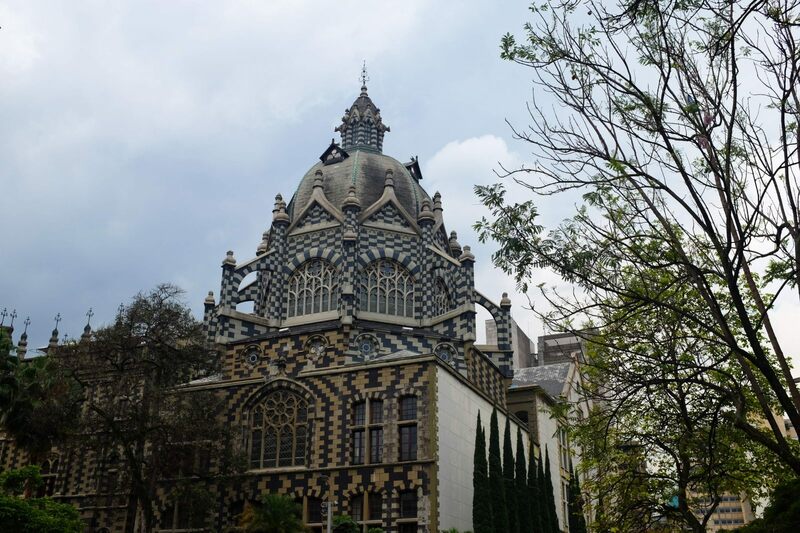 You get to see Isla de La Fantasia, Pablo Escobar’s Mansion, The old Peñol town and the Cross and some more. 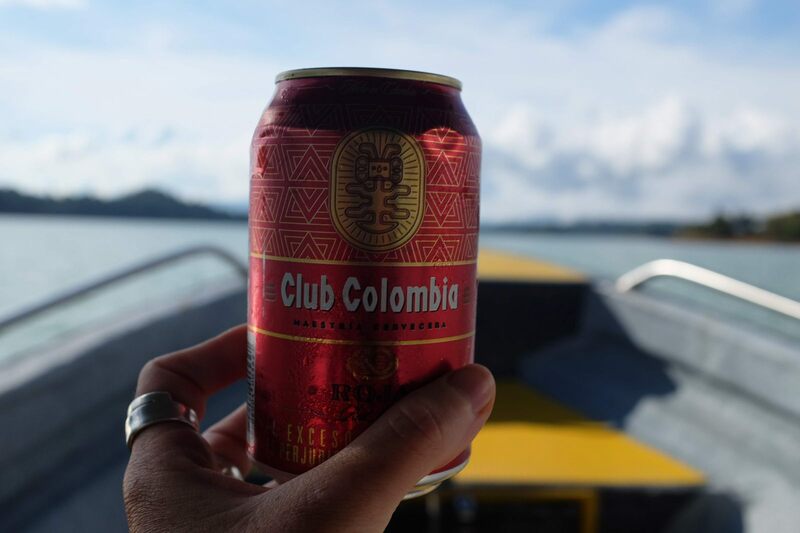 The launch fits 8 people, there is Colombian music on board and you’re welcome to bring some beers for the ride! 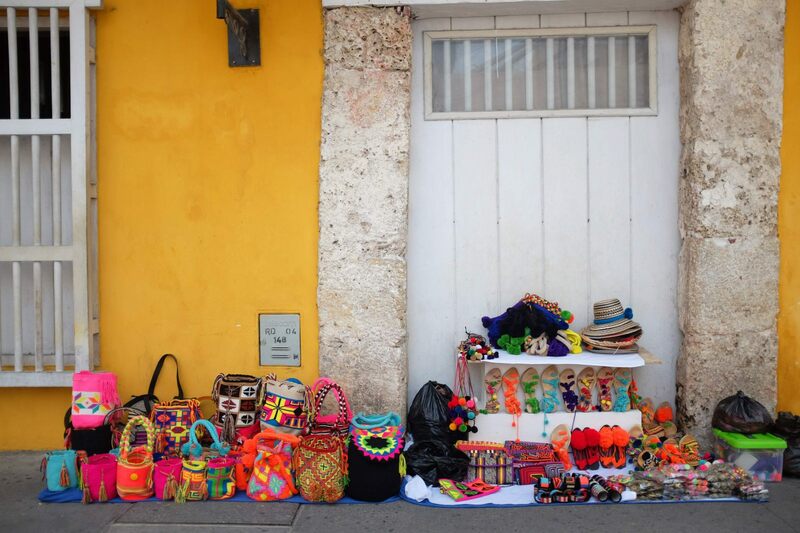 By the waterfront or in the town there is a lot of Artisan shops, very cheap too! 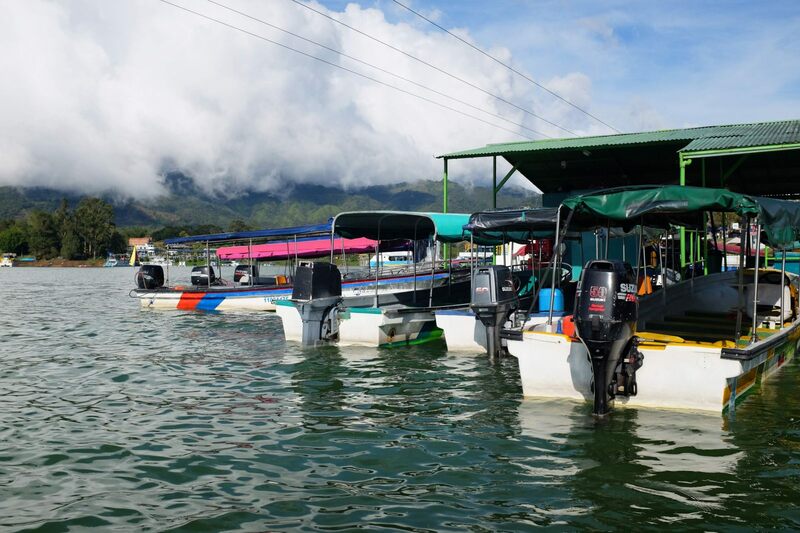 For the most adventurous, there is jetski and biplane available at the waterfront. 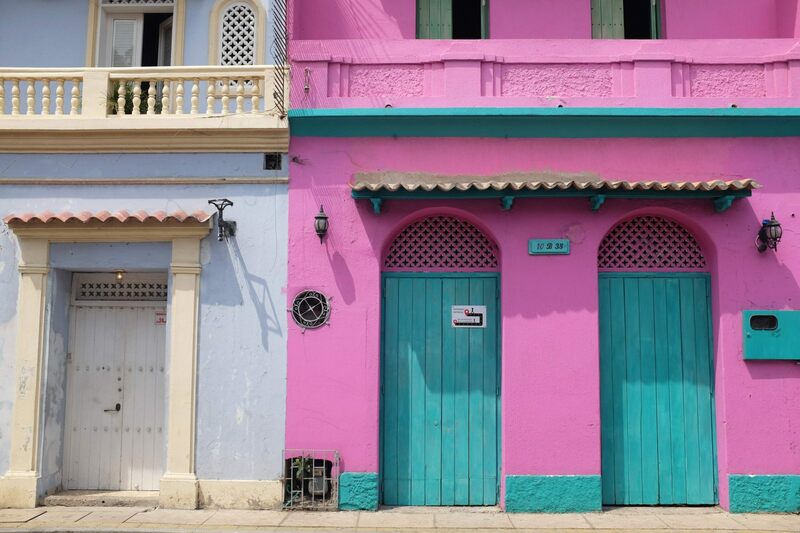 How to get there: From Medellín, the best way to get to Santa Marta is by catching an early or late flight with Viva Colombia . Warning: you will be charged extra for your backpack. Make sure to print your boarding pass before hand (download on mobile does not apply) otherwise you will get charged at the airport. The flight is one hour and should not cost you more than $35 one way. Once you reach the airport, get on the blue bus Santa Marta to get to the city center and make some changes if needed. The price is $1,600 but it may take a while since there is a lot of traffic and it stops everywhere for locals. 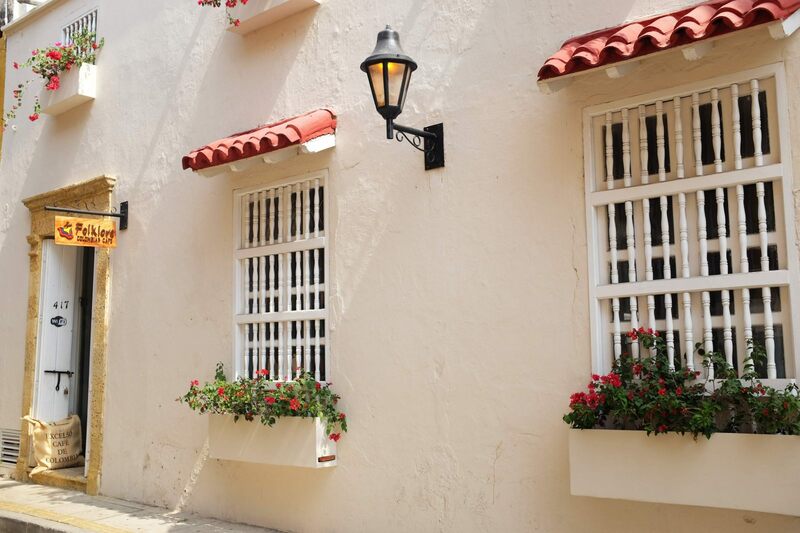 You could stay in Santa Marta but the prices are higher and the scenery not as beautiful as Taganga. 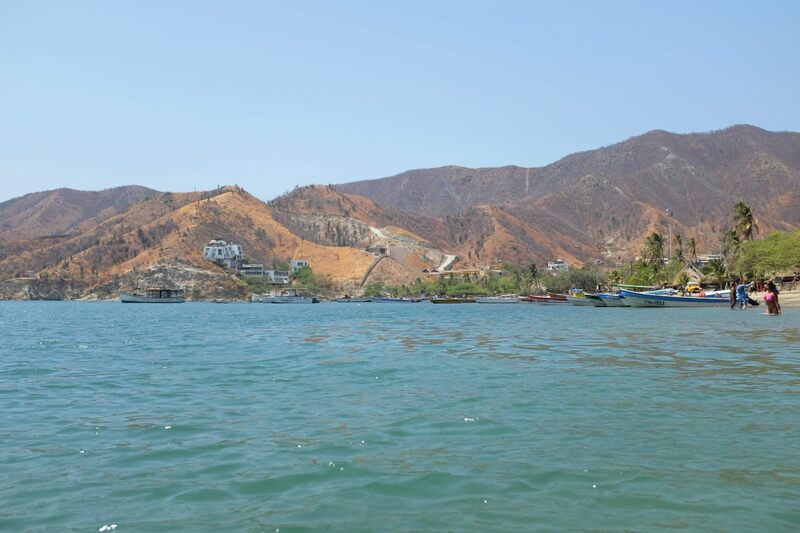 Only a few kilometres away, Taganga Beach is located up the hills with an incredible view over the Caribbean sea. 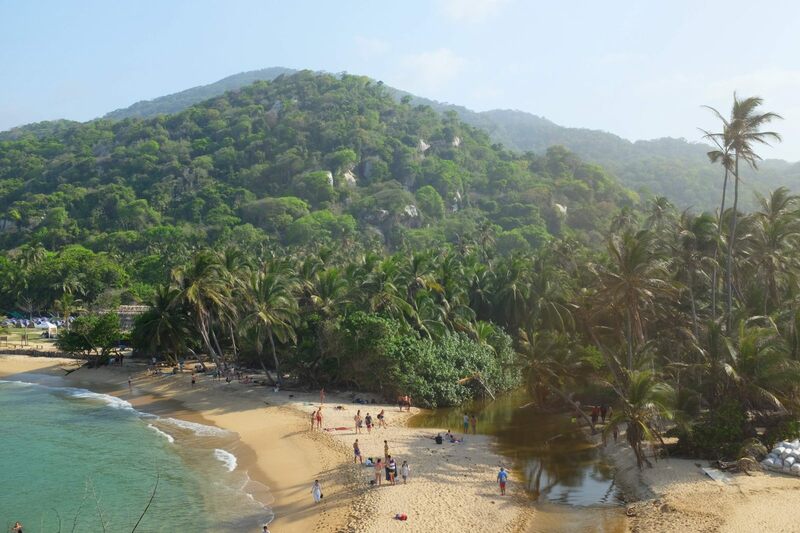 This little fishermen village allows you to spend some great time partying, snorkeling, paddling, diving, eating fresh seafood at Casa Milagros and watch the beautiful sunset! 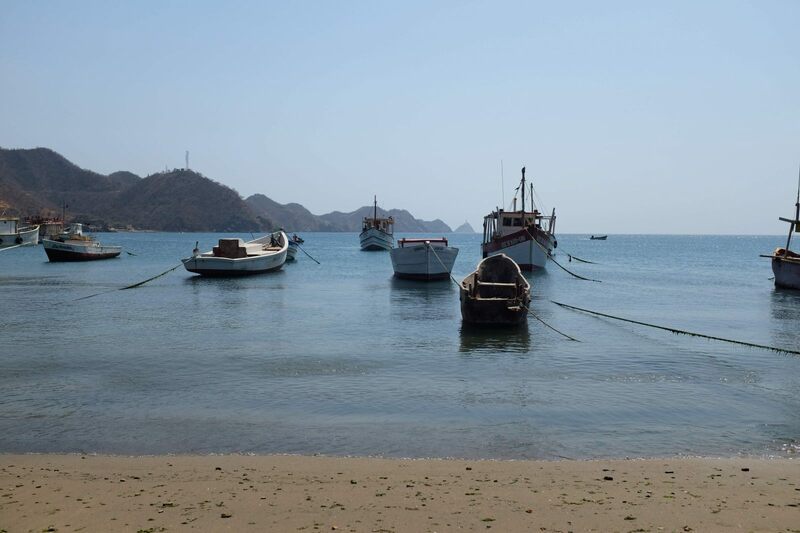 From Taganga Beach, take the blue bus to the center of Santa Marta, change for another bus going to Tayrona Park. Count a good 2-hour trip. Make sure to buy water and food beforehand since it gets very pricey at the park. The general entrance to the park is $45,000, you can leave your backpack at the restaurant nearby if you have to catch a flight or a bus in the evening. Make sure to be back before 5pm though! 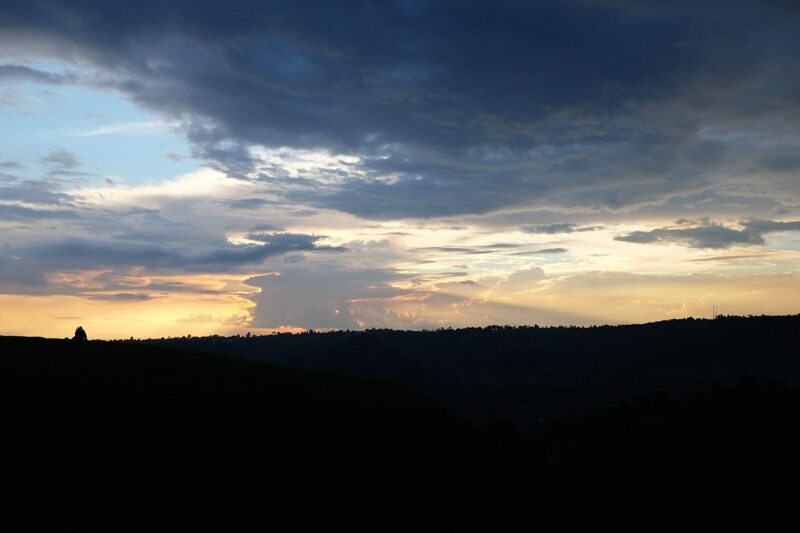 There is an extra 5km before the entrance of the park and we advise you get on the minivan for $3,000 since the hike is not worth losing some energy for the rest of the trek. On the way back, the last mini van is around 6pm, so don’t miss it either, this is a pretty intense day so another 5k at the end of the day is not the most welcome surprise! Piscina and Cabo are the most beautiful and calm ones. The other ones before are inaccessible because way too dangerous to swim in. 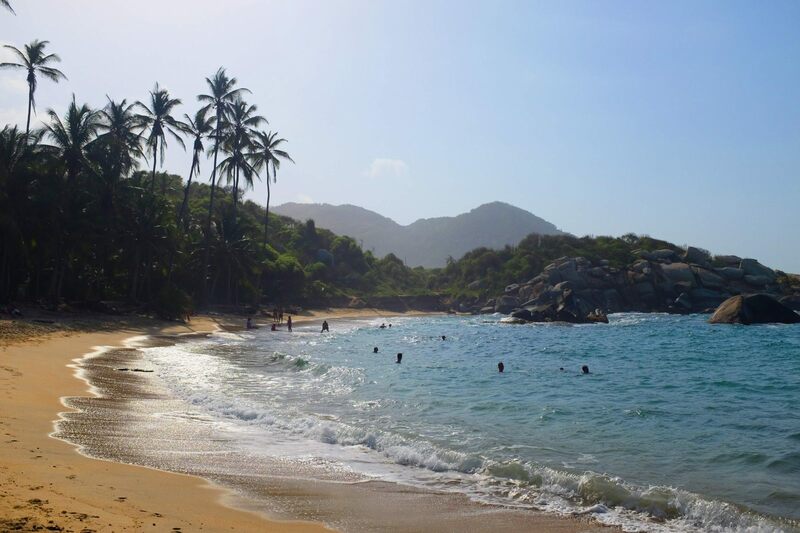 Make sure to be the first to reach the hammocks at the viewpoint at Cabo. During the hike there is not much going on food or drink wise so make sure to have enough water. 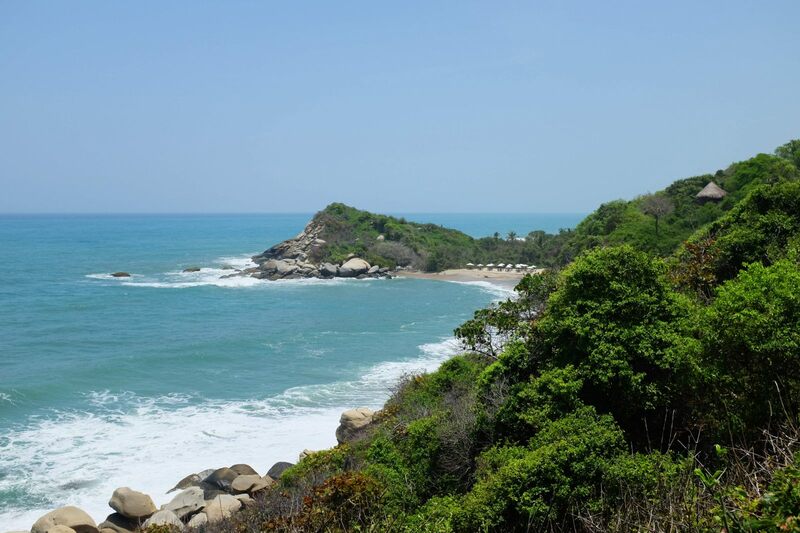 At the few stops for beaches there will be locals selling snacks like ice cream or coconut as well as cold water. The restaurant is at Cabo only and serve meals from $18,000. Try their fresh fish with coconut rice, it’s delicious! 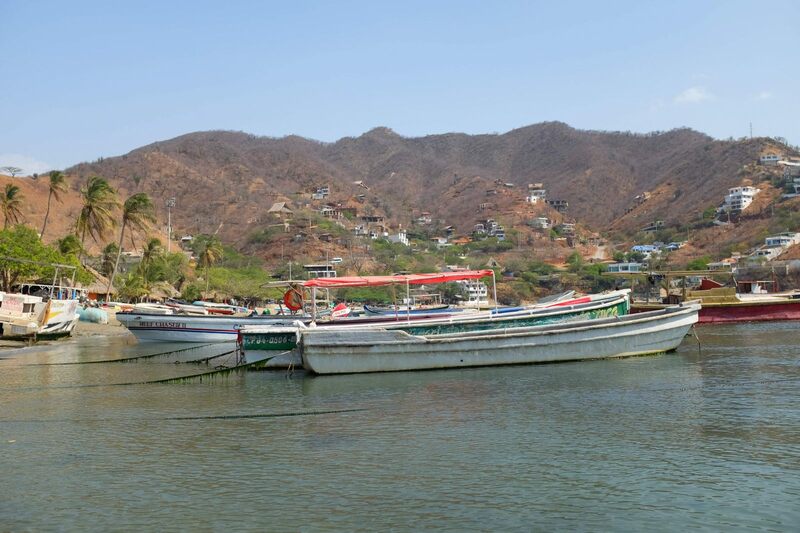 How to get there: From Taganga take the blue bus towards “Terminal de Transporte” in Santa Marta. Count at least an hour bus ride for 1,600 pesos. At the Terminal get on a bus to Cartagena. Ask for the cheapest option that is 25,000 pesos (they may make you change bus at Barranquilla but it’s included in the initial price). If they say the bus ride is 4 hours, you should aim for 6! Depending on the bus company you may arrive at different terminals. The cheapest, the further out of the city the terminal. So if you have to take a taxi, better ask for the bus that will bring you closer to your hostel. 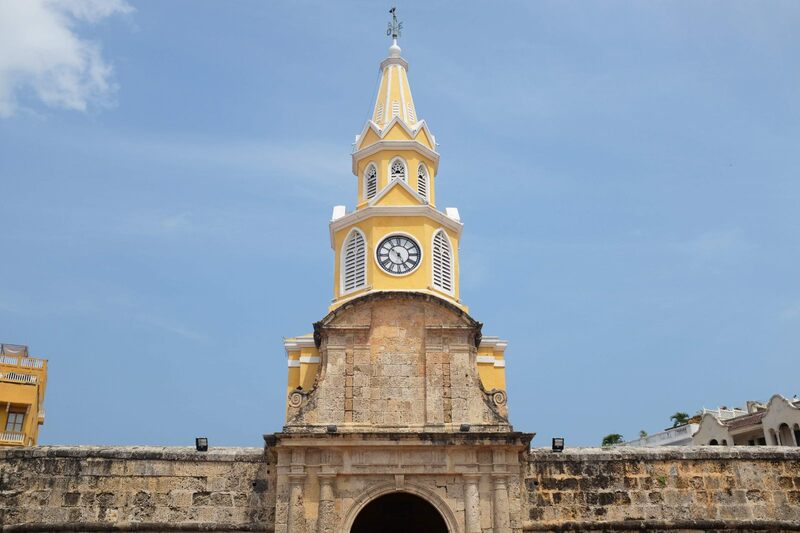 Note that Uber works very well in Cartagena and is cheaper than taxi. 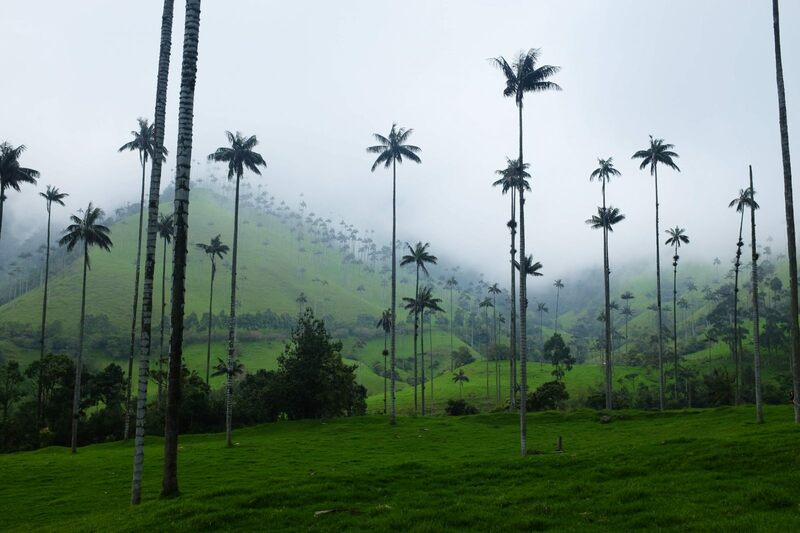 Where to try the best Colombian Coffee? Do you remember the last time you've passed a coffee shop's door and the entire staff have welcomed you with such a SMILE, it makes you want to hug them? That happened to me at Folklore Colombian Cafe ! Erika, the owner of the brand new Café in town has welcomed me with a great smile and willingness to share her story about the Colombian Coffee. 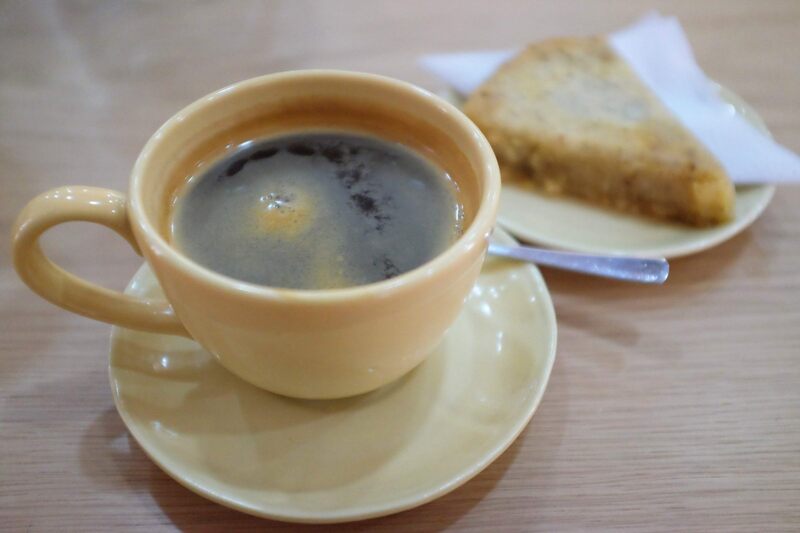 Did you know that you could drink delicious coffee without milk or sugar? Well, come visit her and her staff you will understand better! For the sweet teeth like me, try the Enyucado pastry with your coffee, you will melt! 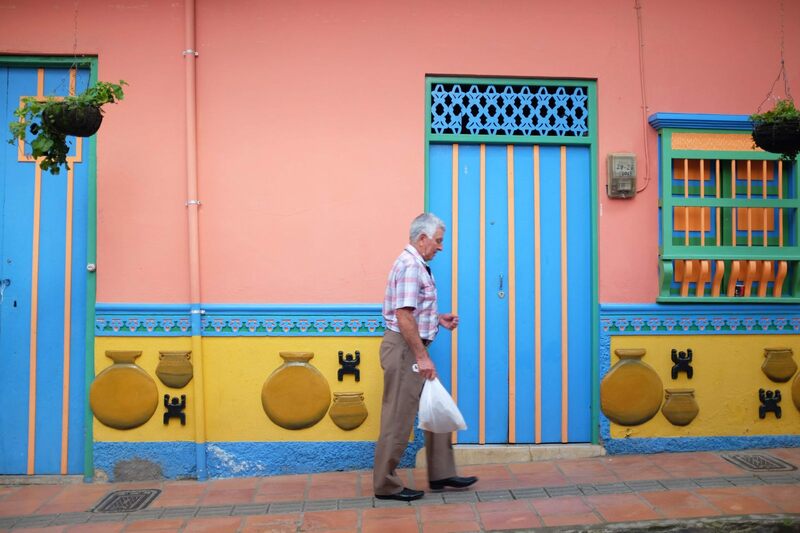 It's made of yuca, coco, queso and anis, perfect to kick off the day! How to get there: From Medellín Poblado, take a taxi to south terminal for 5,000 and only 5 min ride. Enter the bus terminal and follow the sign "ticket booths". Look for the ones that says Pereira or Salento. If you are lucky and get one to Salento directly, it should not cost you more than 45,000. If the bus is full and the next one is coming in three hours, don't wait. 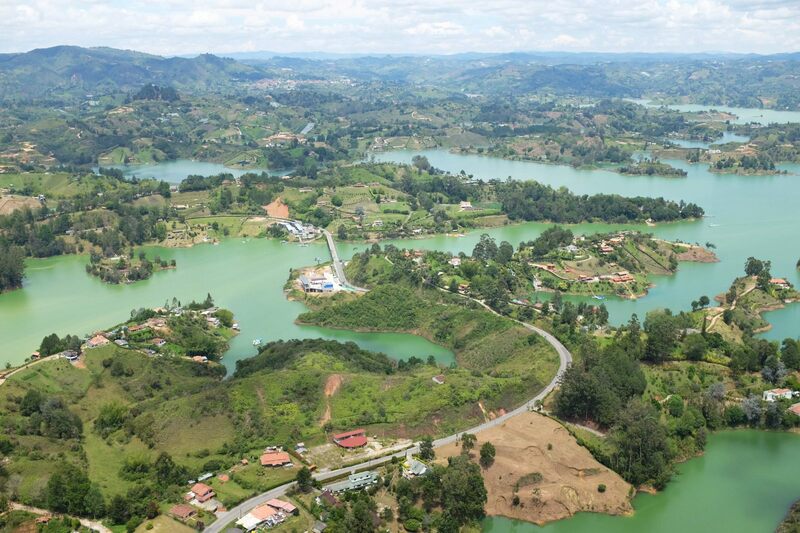 Get on a bus to Pereira and change there. Total cost will be 47,000. All the buses have wifi on board. If you want AC, it is usually a bit more expensive. 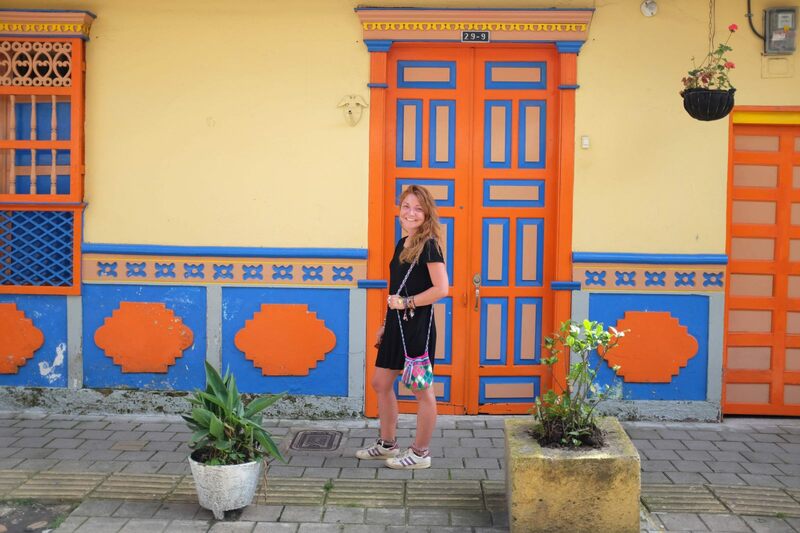 Where to stay: Once in Salento, walk 5 minutes towards Luciernaga Hostel . Reception is upstairs. One night in dorm costs 22,000. They have bar and restaurant downstairs with happy hour 2x1. 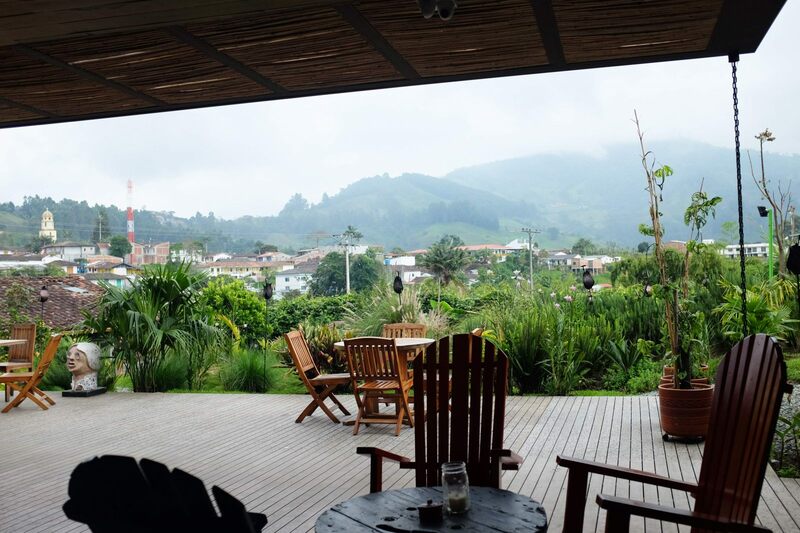 Laundry, free wifi, private bathroom, balcon with 360 view, tours to the coffee valley and Cocora Valley. If you wish to cook, they offer next door for wifi, TV and kitchen. 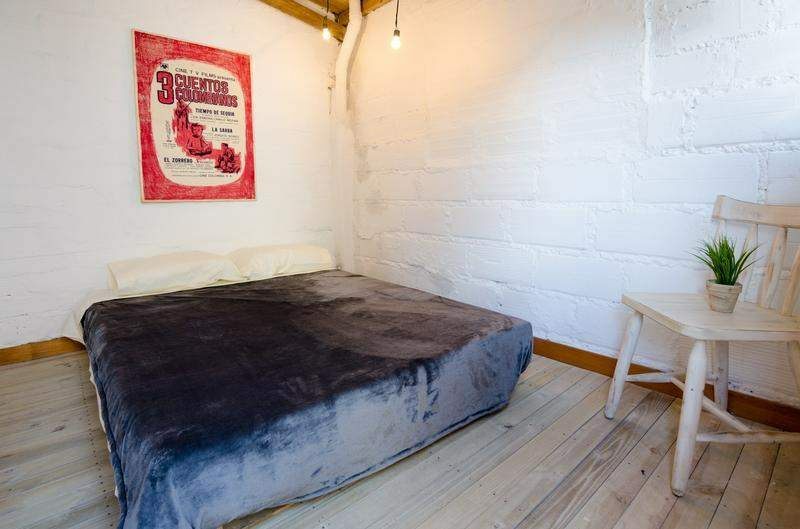 This is probably the most luxurious / cheap hostel you will ever stay in! 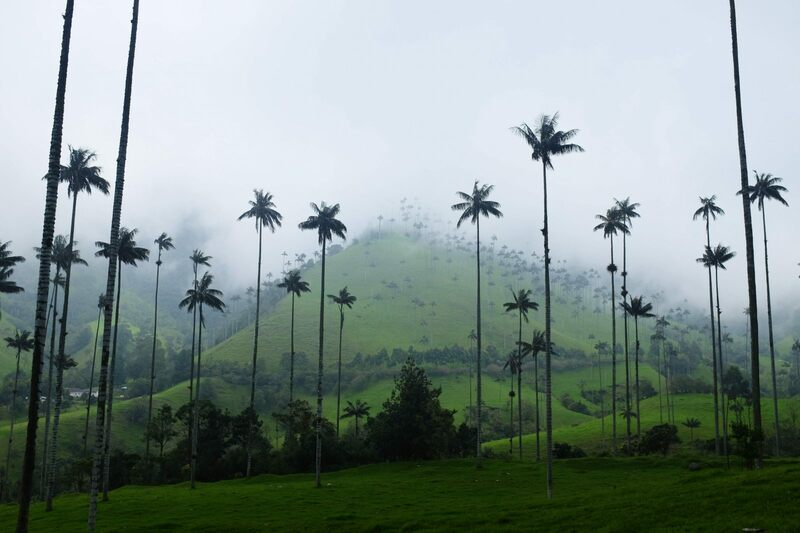 From Salento Plaza, ask the locals where to get the Jeep towards the Cocora Valley. The jeep can bring about 10 people to the entrance of the park. It costs 3,800 and is about 20 minute ride. It leaves very often so don’t worry about a set time. The Park entrance is another 2,000 for walkers. If you wish to horse ride the entire park, it costs 60,000 for 3.5 hours. 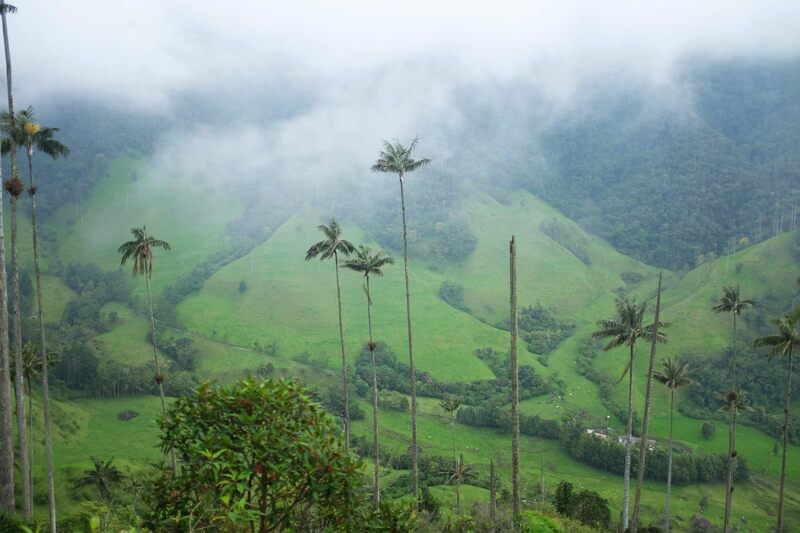 Rainforest, jungle, waterfalls and wax palms valley, the hike is between 4 to 6 hours depending on your path as well as the mud! Note to bring suncream and rain jacket. When the weather is very humid or rainy, boots can be hired for 5,000 and super helpful not to fall from the trail!